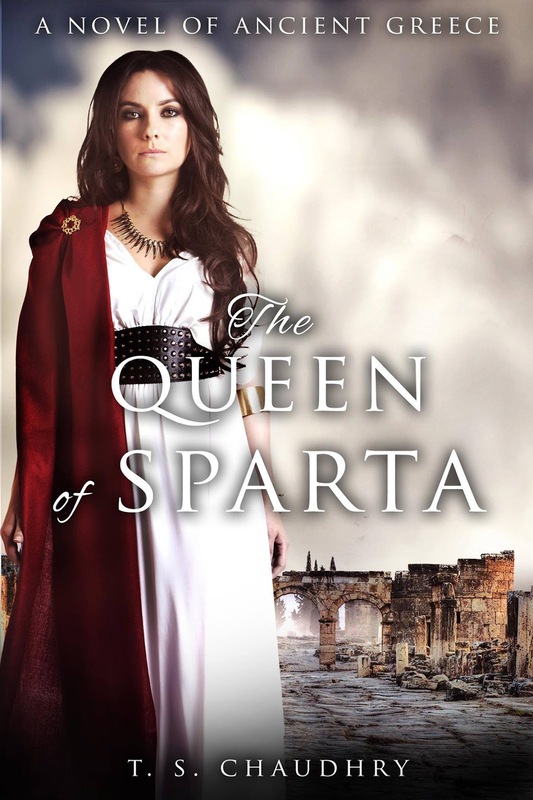 If you’re into historical fiction and have a penchant for the ancient world and classical history, The Queen of Sparta is an excellent account of the Persian Wars from the view of the formidable Spartan Queen Gorgo. 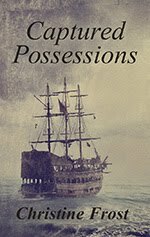 I recently had the opportunity to interview the author, T. S. Chaudhry, about the book, and the meticulous research that makes this portrayal so rich. Out of all the figures who are described in the works of Herodotus, what was it about Gorgo that inspired you to focus on her? The whole idea behind the Queen of Sparta came to me when I first read Herodotus. I read his Histories as a teenager when I was preparing to take my ‘A’ level exams in England. Herodotus paints a vivid and romantic picture of how a relatively small number of Greeks managed to defeat a two million-strong Persian invasion. However, he provides us with no direct answers as to how the Greek resistance was organized and by whom. Leonidas could have been a candidate for this but he dies relatively early in the struggle. The Athenians Themistocles or Aristeides could have organized it but the former is shown by Herodotus as a brilliant tactical trickster rather than a strategic genius and the latter is, at the time, a discredited politician who carries little weight in his native Athens, let alone the rest of Greece. And there was no other significant male personality to lead the Greeks. So it had to be a woman, and in a patriarchal Greece, she had to play her role behind the scenes. And Herodotus provides us with ample clues about her: the little girl who prevented her father from making a blunder by warning him against the temptations being offered by a Miletan tyrant; and the young Queen who could find a secret message where the brightest in minds in Sparta could not – a woman who clearly impressed Herodotus. The Persians could have still won the war but they did not because someone was orchestrating the resistance. Reading in between the lines of Herodotus, I had no doubt that that person could have been none other than Queen Gorgo. What were the defining moments in describing Gorgo in the story that helped you conceptualize her as a character? In the history of the Persian Wars there are key events like the Ionian Revolt, the battle of Marathon, and the Persian invasions, where the Spartans behaved in certain, some might even say peculiar, ways. They refused to support the Ionian Greeks in their revolt even though a generation earlier they liked to portray themselves as their allies and protectors. The Spartans delayed their arrival at Marathon at a time when shying away from any battle was considered characteristically un-Spartan. And then whole sequence of how the Persians were slowed down, split up and finally defeated presented more questions than answers. And for me the only explanation to all these recorded historic moments was Gorgo. I conceptionalized her as person who did things a little unorthodoxly, especially in a place like Sparta where strict conformity was the rule, if not the only rule. Her non-conformity comes out both in her personality and in her physical appearance. Today, we would call Gorgo a person who thinks outside the box and the box in Sparta was pretty solid and confining. By thinking outside the box she her save Greece, she challenges long-held Spartan attitude towards their Helot slaves, and appreciates Sherzada’s viewpoints. Even though she can be ruthless, she has a strong moral fibre that makes her stand up for what she thinks is right. She is at her best in moments of crisis, when her back was against the wall; and becomes the very picture of grace under pressure. That is the image I hope the readers will also see. The meticulous research is evident throughout the novel, and in particular, the detail on ancient warfare is excellent. One of the biggest challenges in writing historical fiction is integrating research with the plot and the characters. How do you achieve that balance? 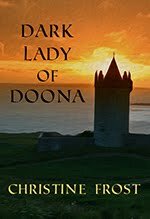 The most difficult part of writing this novel was that the plot had largely been defined by history. I could not tell a credible story about a real Spartan Queen without deviating too much from what history had recorded about Gorgo and her times. 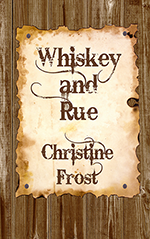 And, indeed, initially the plot was so restrictive that some of those who read the earlier versions of the manuscript encouraged me to drop the entire project. But the more I read the history of the period, the more I became aware of the many gaps in our historical knowledge. This enabled me to narrate a story without actually changing any of the historical facts. 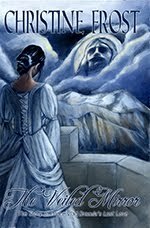 For example, there is no record of what happens to Gorgo and her son after the defeat of the Persians allowing me sufficient scope to develop the story the way I wanted to. 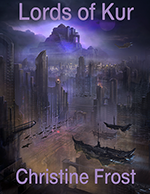 The vast majority of the characters in the novel are indeed non-fictional and I had to restrict myself largely to their respective historical roles and stories. But again, gaps in recorded history enabled me to create a few entirely fictional characters, especially the main male protagonist, Sherzada. Some of my readers might find him unbelievable but he was not at all anachronistic. Modern historical research and evidence supports the notion of travel and contacts between peoples over vast geographical distances. Herodotus himself attests to long distance contacts. In fact, Sherzada’s journey to the Baltics is largely based on Herodotus’ own description – werewolf included. Contacts between South Asia and Greece in particular were not unusual. People born in the Indus Valley died fighting for the Persian Empire in the battle of Marathon in 490 B.C. and in later battle against the Greeks as they were to die fighting for the British Empire in the Battle of the Marne in 1918 and both the World Wars. Nor is the character of Sherzada out of sync with the times. His character is very typical of a warrior of his time. So the plot emerged through a crazy combination – partly determined by straight-jacket imposed by recorded history and elsewhere from the very large gaps our historical knowledge of the period has left for us. I am not at all claiming that this story is historically accurate, but it is certainly plausible and it is a story that has not been told before. In the notes about the book, you cite a quote by Aeschylus: “In war, truth is the first casualty” in reference to your choice of providing a view of both sides of the war. At what point in crafting the novel did you decide to develop Sherzada’s character to more evenly balance the points of view? In fact, Aeschylus makes a cameo appearance in the novel, more as comic relief than anything else, which is ironic because he was more famous in his lifetime for his tragedies. But you have hit the nail on the head but describing this as an underlying theme of the novel. There are essential two factors which led to the development of Sherzada’s character. The first goes back to my first reading of Herodotus as a teenager where I saw the whole account of the Persian invasion as being largely one-sided. To be fair, Herodotus tried to be balanced wherever he could to the extent that another famous historian Plutarch accused him of being a “Barbarian lover.” But I did not see it that way. Though I have been raised partly in the West, I am a Pakistani who is no stranger to subtle ethnocentricities which come out even when Western writers try to be even-handed and objective. So I wanted to be the first non-Western writer to give a non-Western viewpoint to what was a core event in Western history – perhaps opening myself to the very same criticism in the process. Initially, the entire story was going to be presented by Sherzada’s point of view but I was sensibly advised that it would be more interesting to have both Gorgo’s and Sherzada’s viewpoints presented in the novel side by side. But then I again, I also wanted to blur the lines between “East” and “West.” That is why I underscore the Greek links with India in the beginning to make the point that Ancient Greek history is as relevant and important to Asia as it is to Europe. The second factor comes from my personal experience as a scholar and diplomat who had dealt with real life conflicts. In war zones throughout the world, the veracity of Aeschylus’ quote has been impressed upon time and again. There are rarely conflicts which are black and white. Most conflicts are characterized by (no pun intended) multiple shades of grey. I have worked on peace processes in South Asia, the Balkans, and Africa and I have seen no conflict in which truth has not been the first casualty and no war in which every side, rightly or wrongly, felt they were in the right. And each side always has its story. In this case, I felt that another side of the story—though not necessarily a Persian version—needed to be told and the writing of history—even in fictional form—need not always be the prerogative of the victors. You present an interesting concept with Gorgo’s father—rather than being cast as a mad king, he is transformed as a visionary who practices realpolitik. What inspired this unique portrayal? Throughout history men of vision have been condemned as madmen or worse, the treatment of Galileo being but one example. I too would have relegated him to the status of a madman, had I noted the amount of ink Herodotus invested in King Cleomenes. For any apparently insignificant, and supposedly mad Spartan King, Herodotus devotes a disproportional number of pages to his exploits. So he was clearly a man our historian took very seriously. Sparta is not a major power in Greece before Cleomenes, rather it is seen a local rival of Argos. After Cleomenes, it is suddenly one of the most important states in Greece, if not the most important. So Cleomenes must have done something to make that happen. Modern research also supports the view that there was more to Cleomenes than what met the eye, though historians even now continue to debate which side of the line dividing genius and madness he was really on. To me, Cleomenes was an eccentric; a weird and wonderful politician who could cut through the fluff and see the reality for what it was. It was not that he was a nice person, in large part he was not. Yet, like many Machiavellian characters he knew how to play the game of realpolitik to deliver the best possible outcome for Sparta. I am currently writing the “prequel” to the Queen of Sparta called “Fennel Field.” It describes the events leading up to the battle of Marathon in 490 B.C. (roughly a decade before the period covered in the Queen of Sparta). “Fennel Field” is the literal English translation of the Greek word “Marathon.” Many of the characters of the Queen of Sparta make an appearance in Fennel Field with some of the minor ones playing the major roles and vice versa. “Fennel Field” is a story of a half a dozen or so individuals, including at least one woman, who are caught up in a chain of events that they cannot control and yet inadvertently end up contributing to the outcome of what has been called by many historians as the first decisive battle in Western history.